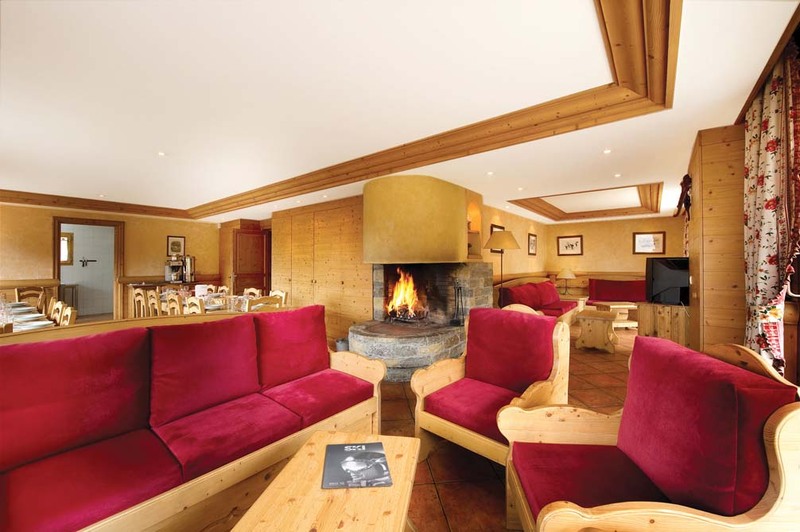 Chalet Cardamines has a fabulous location close to the Doron piste which runs down to La Chaudanne and is ideal for skiers wishing to get started early in the morning. The Morel chairlift is also just a short walk down hill in the opposite direction. 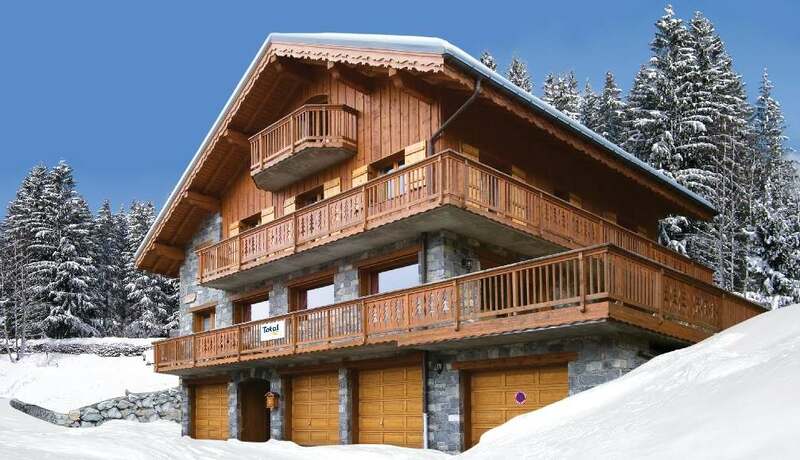 The chalet is finished to a high standard, with clever use of local wood and stone and is light and spacious inside. 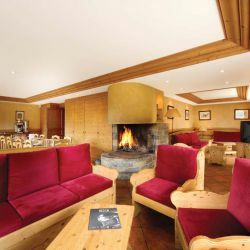 The open plan lounge and dining room has a log fireplace and a large balcony with outdoor seating. 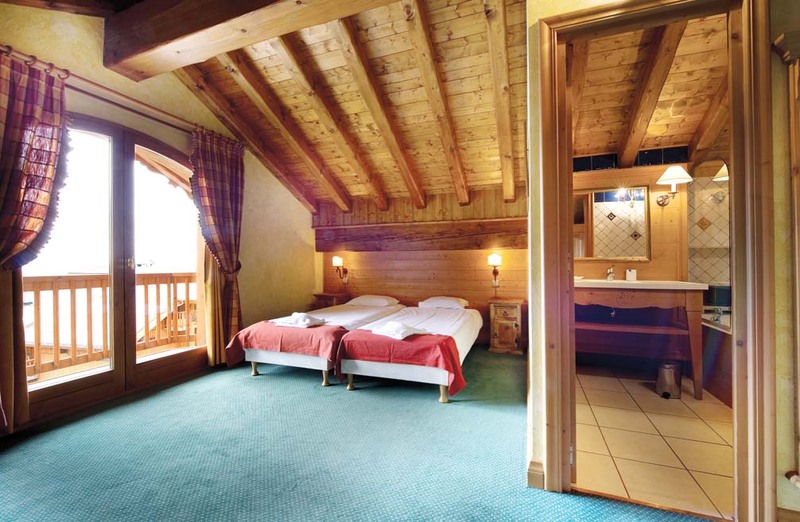 The good size comfortable bedrooms all have en suite facilities and many also have a balcony. There is a sauna and an outdoor hot tub to help sooth those tired muscles at the end of the day. If you wish to try out the famous night life of Méribel then it is just a 10 minutes’ walk or a short ride on the free ski bus which runs until midnight. 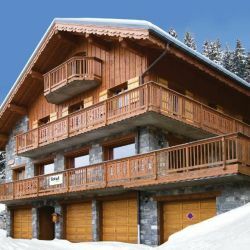 Main entrance to building, Ski room with heated boot rack, Sauna, Snug with TV and DVD. Open-plan living/dining area with balcony, Kitchen, Separate wc. 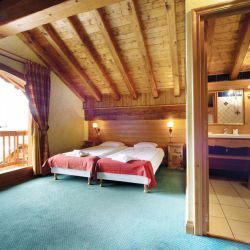 4 minutes walk to the Morel chairlift and just 3 minutes walk to the Doron piste. It is 10 minutes to walk to the resort centre or you can jump on the resort ski bus. A fantastic choice of regional flights. Self drive and accommodation only are also an option.